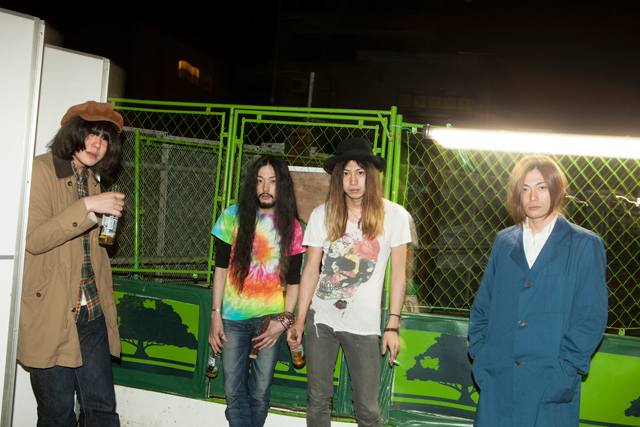 Odottebakari no Kuni is a 4-piece band with the members of Shimotsu Koji (Vo/G), Hayashi Hirotoshi (G), Shibata Yuuki (B) and Kensuke Sato (Dr). Formed during 2008 in Kobe, their independent albums “Oyasuminasai Utautai” released in 3/2009 and “Goodbye, Girlfriend” released in 3/2010 received a great deal of positive feedback. With such result, they participated in big-scale festivals such as “FUJI ROCK FESTIVAL” and “RUSH BALL.” They released their 1st full album “SEBULBA” in 3/2011 and went on a nationwide tour to expand their territories of music activities. They released their 2nd full album “Sekai ga Mitai” in 11/2011.